Do you dream of a freelance writing career? Maybe you want to do creative work, meet amazing people, set your own schedule, and of course, work from anywhere in the world. Read on to find out what it’s really like and how to create a successful freelance writing career. To be successful, you have to deal with clients, stay on top of your finances and bookkeeping, build relationships in the industry, market your business continuously, and perform all the administrative tasks needed to keep things afloat. With so much to do, do you occasionally feel like you might as well be working at a job? I don’t mean to burst your bubble, but this is the reality of writing for money. These 5 systems are all you need. This is probably the most important system you need to establish in your freelance writing career. Enormous amounts of time and headspace are used to communicate with clients. And forming positive client relationships is the lifeblood of your business. That’s why it’s critical to systemize your client communication process. The easiest way to do this is to create a checklist. It’s a good idea to outline all your client communication points, each with its own template. You can then identify where there might be breakdowns, and create templates for these situations as well. Now you won’t spend time thinking about what to write or say; you will simply follow your checklist and templates. Accounting is not the sexiest topic, but make no mistake, establishing an effective accounting system will save you a ton of time and money. Luckily, there are lots of mobile and web apps out there to make this process effortless for freelance writers. If you prefer tracking finances on paper, that’s cool too, as long as you have a system in place. I used to record my transactions manually in my partner’s pretty KiKiK folder. This method was simple and effective, but very labour-intensive and time-consuming. That’s why I strongly recommend using software. If you’ve never used accounting software before, and aren’t ready to make an investment, try Wave. It’s effective and free! What’s so powerful about softwares like Wave is that they enable you to link your bank account directly to the program, so you don’t need to enter any data into the system. You simply find the amount and then allocate it to the correct account. You can also set up automatic follow-up invoices for outstanding payments. Establishing an accounting system and allocating a fraction of your time to maintain it will work wonders for your freelance business. There’s no denying it: building strong relationships will lead to more guest post opportunities, more clients, speaking gigs, larger audiences for book launches – you name it. Plus, the people you surround yourself with will motivate you to take your business to the next level. If you’re thinking that you have to aggressively approach A-listers at every business conference around the world, think again. I prefer building my relationships organically, one person at a time. But at the same time, I make sure that the communication does not drop off, by keeping a record of my contact with them. The most important consideration when creating a relationship building system is: whom do you want to influence? Is it clients, friends, other freelancers who could promote your business? Also think about the values you want the people in your network to have. From there, you need to find a tool to store all your contacts. Try to find a system that allows you to add notes so you can keep track of your relationships. I recommend Nimble or contactually. Both tools track your communication with your contacts through social media, email and manually added notes on file. You must also figure out how often you want to touch base with your network. Once a week or is every couple of months enough? It is likely that your contact frequency will largely depend on the type of relationship you have with the person. For example, if it is a close business friend in your mastermind group, you might catch up weekly as opposed to checking in every quarter, as you might with a past client. Lastly, you should always be looking for ways to grow the number of quality relationships you have. The best way to do this is to join online communities or meet people in person. Again, you don’t need to go out and be someone you’re not. Be mindful of opportunities but let your relationships grow organically; there’s not much point staying in touch with people you don’t like. This section is not about marketing strategies and tactics. As a Write To Done reader, I’m assuming that you already know a lot about this. However, once you have identified which marketing strategies work best for you, you need to ensure you always have leads flowing into your business. 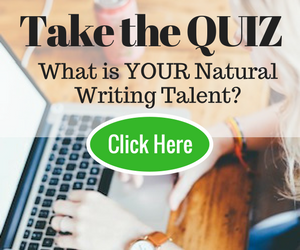 For example, you may find that email marketing, blogging and social media get you the most writing gigs. If so, do you use these strategies only when you’re low on future work, or do you have a system that keeps these opportunities coming your way? Do you have a PDF, or video or email series to give away to your audience in exchange for their email address? Do you have a specific landing page to promote your freebie? Have you set up an email newsletter template for each time you publish a new article? Have you created a list of topics to blog about in the future? Have you determined how often you’re going to publish content? 1, 2, 3 times per week or month? How often do you top up your list of topics? How often do you want to post on each platform? What are the best times to post on each platform? Answering these questions will give you a snapshot of your marketing system, which you can then tweak over time. I believe administrative tasks add no value to your business. So you need to find ways to systemize it so you can get on with your business. Admin tasks include email management, task management, file management and password protection. There’s endless detail involved, but here are a few quick tips to help you streamline your admin. The key to staying on top of your email is having a way to process messages into tasks, and then archive the rest. You can do this in Gmail using Todos or you can use third party software like IQTELL. Unroll.me is a great way to management your subscriptions. There are hundreds of task management apps to enhance your productivity, and frankly, they all do the same thing. It doesn’t matter whether you use Trello, Wunderlist, Asana, Basecamp, or Workflowy. The main thing is to record all your projects, both business and personal, and then list the actions required to finish each project. Once you’ve mapped out everything you need to do, pick up a pen and paper, extract the important tasks from your software and write them down to complete today. That’s it! It’s easy to get caught up in tools (I probably need to seek professional help to stop looking at and testing tools! ), but remember that having the right software is not going to make your freelance writing career soar. Doing the work will. Here’s a great resource for getting back to basics with task management. Use Google Drive to store and organize live documents, and Dropbox to store completed files like video, music, tax payments and so forth. The key here is to eliminate all loose files. Every file should be in its appropriate folder. Spend this afternoon cleaning up your files and see how much time you save by not looking for things. How much time do you spend looking for or remembering passwords for your business? Or worse – do you only have one, two or three passwords that you use for everything? If so, you are at risk of being hacked and you need to streamline your password management as soon as possible. The easiest way to do this is through software. I use 1Password to manage my passwords. As the name suggests, you create one master password which unlocks your whole password database. The software is smart enough to save passwords saved in your search history as well as generating complex passwords for new or existing accounts. I love the convenience of having one really strong password to access everything I need. It increases your security and saves time along the way. So there you have it – a 5-step system action plan to help you free up your time. All you need to do now is to actually implement these systems and reap the benefits. I recommend you begin by allocating 30 minutes per day to work on your business. You’ll begin to see the magic in no time at all! Which systems do you use to make you more efficient and have more time? Share in the comments below so we can get a conversation going! Awesome content, thanks for sharing !! intensity and dramatic appeal of opaque hair color. oh.my.goodness!!!!! this is amazing and frightening all at the same time! I wish I had this 5 years ago or even last year this time! Thanks so much for this valuable information. all aspect make great sense.. content quality and marketing is prominent feature as well. I enjoyed your post Michael, particularly your reference to “turning pro”. Email management is important for any online writer as is a personal productivity system. I use MailChimp (as a tool) and Inbox Zero (as a strategy) for the former. For the latter, I use Wunderlist (as a tool) and GTD (as a strategy). Hi Bryan, I’m glad you enjoyed the post. And thanks for sharing some of the tools you use in your writing business. I also use Wunderlist as it’s simple to use. thanks for this outstanding post! Hi Virginia, thank you for taking the time to leave a comment. I’m glad you found this post useful! Let me know if you need a hand implementing any of the systems. WOW ! What a great amount of useful resources to check out plus all the tips and techniques. This really helps me – a start-from-scratch person (except for having hundreds of articles ready to publish in a variety of formats !). I have a clearer direction on ways to proceed now. Thanks.